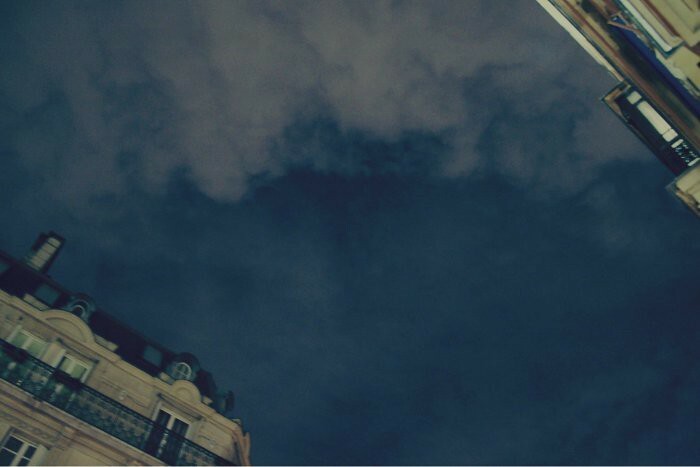 I just got back from an amazing weekend in Paris where I was a guest of the wonderful Hotel de la Trémoille for a couple of nights. I stayed there with my husband and Mini-Robot and it felt like a scene out of ‘Somewhere’. Truly magical. 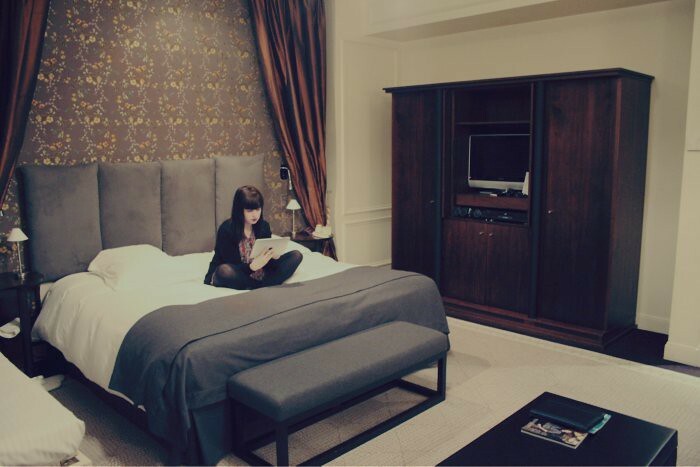 Being a Parisian means I seldom get to stay in hotels in Paris, even though I now live in London. So when I was invited to review the Hotel de la Tremoille, I just couldn’t say no. It is located in an area known as the “Golden Triangle”, between the Champs Elysees and the Avenue Montaigne. I am not extremely familiar with this area, having grown up in Le Marais and in the East of Paris so it was nice to get to stay somewhere different. It made me feel more like a tourist. If you are a tourist, or if this is your first stay in Paris, then this definitely is a great location. It is very quiet but at the same time near all the designer boutiques and just a short Metro ride to the very centre of Paris. It is also just a short walk away from the Eiffel Tower. 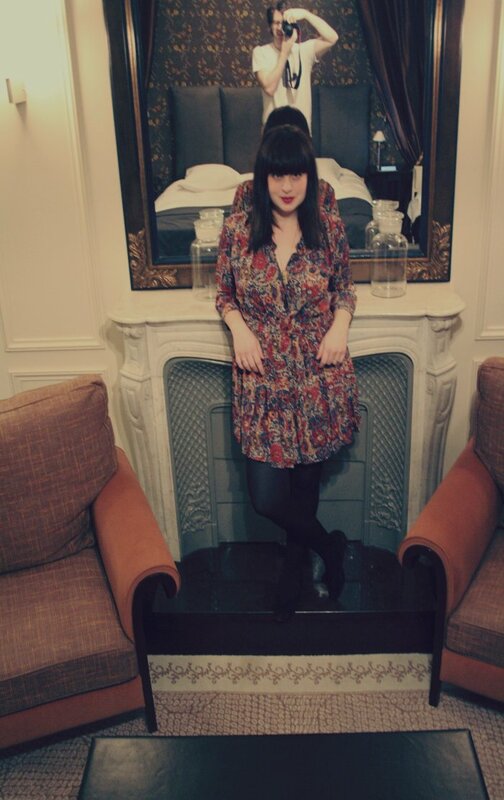 What I loved the most about the hotel de la Tremoille was that it felt both like a boutique hotel and a palace. The service is very personal and tailored to your needs, while being of extremely high standards. The hotel isn’t too big, but it isn’t so tiny that you get to know all the other guests on a first name basis! There are 93 rooms in total – 23 standard, 43 superior, 14 deluxe, 8 junior suites and 5 one-bedroom suites. I was staying in a deluxe room and it felt like home. The room was really vast, I was there with my husband and 3 year-old daughter and she had more than enough space to run around. The bed was enormous, extremely comfortable and boasting a very fluffy duvet and pillows. Needless to say I felt after 5 hours sleep as if I had been asleep for a whole day! The room was also very quiet and perfectly dark at night, which is something I look for whenever I stay somewhere. The bathroom – complete with a whole range of Molton Brown toiletries was not as big as I imagined, but all the fixtures were beautiful and it still felt very luxurious. There were stacks of towels and robes at our disposal, I could have made a whole outfit out of them! If you are after a romantic getaway, or if you are celebrating a special occasion, then you should definitely check out the Hotel de la Tremoille. 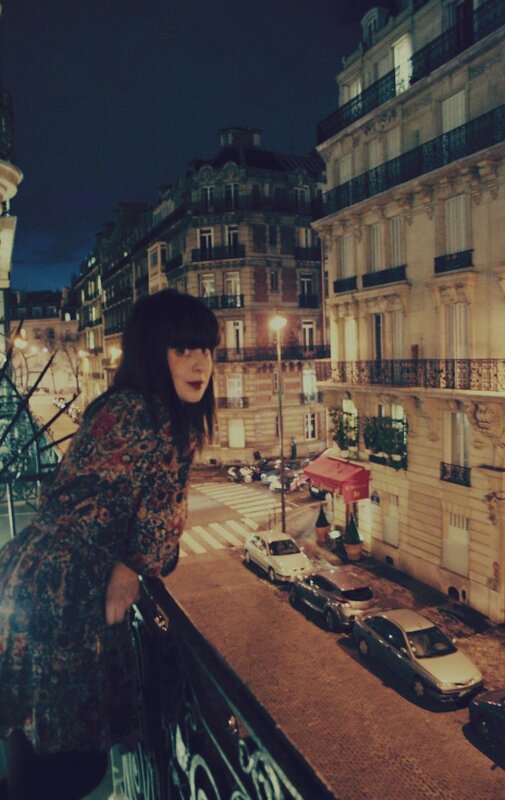 There is something about stepping out of your room onto a little balcony that just screams “romance”. It is also perfect for a quick shopping break as it is within walking distance of all the best designer stores… and since all the rooms have high-speed internet access, it is also a great business hotel – or the perfect place to stay if you are on a working holiday. 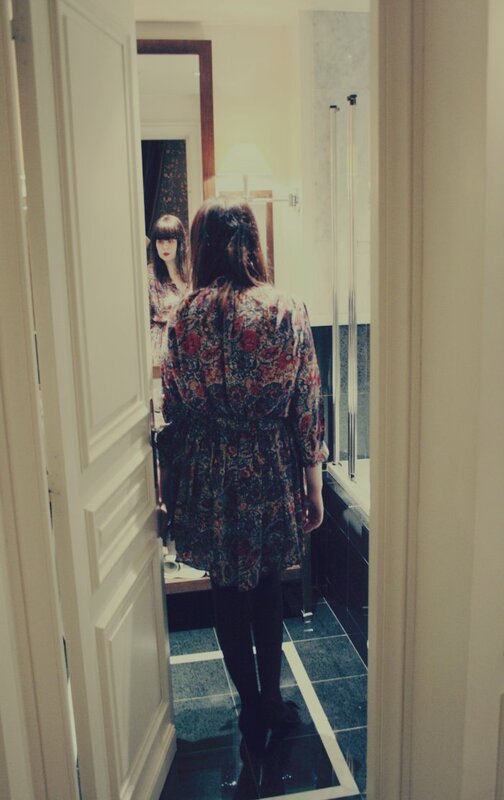 I am wearing a Thakoon dress and Office shoes.